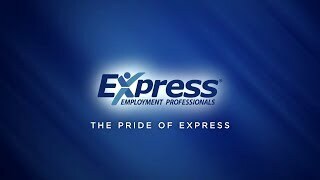 Express Employment Professionals is a leading provider of Ft. Myers staffing , helping job seekers find work with a wide variety of local businesses. Because we're locally owned, we live in and work in this community and have a vested interest in its success. In addition to our staffing services, our team of recruiters in Fort Myers, FL is actively involved with a wide variety of causes and organizations that help strengthen our beautiful city. Getting You Back to Work, Fort Myers! Serving predominantly the Lee County Area, we are always looking for exceptional candidates who are looking for a new or better career. We have become known as a reliable resource for numerous businesses throughout our community. We get to know our clients individually through strong relationships and have come to understand their industries, challenges, and skill sets needed to provide them a "just in time" workforce. Our staffing solutions include temporary, evaluation-hire, flexible staffing, short or long-term contract staffing, and professional recruitment/placement in a variety of fields. Our ongoing educational opportunities, such as our free webinars and annual Leadership Simulcast are designed to provide relevant information to our clients. Our topics range from "Employee Morale and Engagement", "Conflict Management", and "Communicating With and Getting The Most From Your Employees" - all FREE. Our Lunch 'N Learn programs can be done in your office and cover a variety of topics such as "How to Be the Employee Your Employer Can't Live Without", "Generations in the Workforce", "Learn to Lead", as well as others - FREE. Express Employment Professionals works with job seekers to help them find the right job for their skills and experience. We have a variety of jobs available, and there are full-time, part-time, and temporary positions available. And, as one of the leading staffing agencies in North America, Express provides employment services and workforce solutions to employers throughout our community.